CrossFit Level 1 Certificate Courses: Camp Lemonnier, Djibouti, CrossFit Fort Stewart, CrossFit Carbon, CrossFit High Performance, CrossFit X-Factor, CrossFit Federal Hill, CrossFit Columbus, CrossFit Wilmington, Iron Oak CrossFit, CrossFit Max Effort, CrossFit Colosseum, CrossFit Twente, CrossFit Nuernberg, CrossFit Officine, CrossFit Singular Box, CrossFit Rocks, CrossFit LifeSpark, BIGG CrossFit Recoleta. CrossFit Coach's Prep Course: CrossFit Defined Lincoln Square. 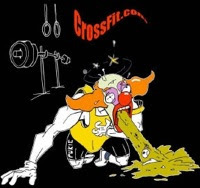 CrossFit Kids Courses: CrossFit Morristown.